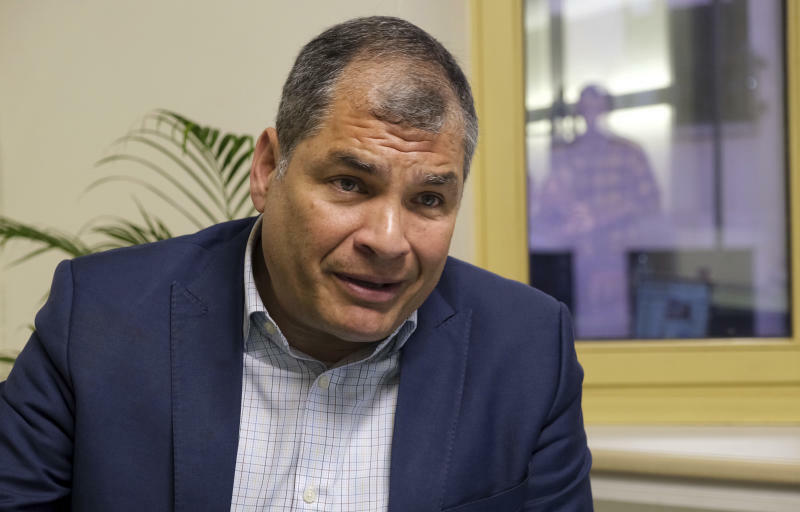 QUITO, Ecuador (AP) — Facebook has blocked the page of former Ecuadorian President Rafael Correa in what the firebrand leader is lambasting as part of a "brutal persecution." When asked about the page's removal, a Facebook spokesperson said the social media company prohibits users from sharing private personal information like financial records that may "compromise the identity of people using our platform." Correa has been posting information online about an offshore bank account allegedly used by the brother of Ecuador's current president, Lenin Moreno, to stash millions. Moreno is Correa's ex-ally-turned-nemesis and has not been directly tied to the account. On Twitter, Correa said his page's removal was "another show of desperation" over what he and others are dubbing the "INA Papers" scandal.